Welcome to St. Catharines Limousines, Southern Ontario's Premium Transportation Company, Serving the Niagara Region for over 30 years! We have a special party bus St Catharines tourists can book for their special events. Our company services hundreds of satisfied clients every year and is committed to raising the bar to provide our passengers with an unsurpassed level of comfort and convenient transportation services. Schedule a limo rental Niagara visitors rely on for a good time. We are dedicated to safety and reliability. Our professional drivers are punctual, courteous and can take you anywhere you want to go in a party bus Niagara locals trust. We keep our vehicles clean and ready to serve you. Our Impressive Fleet is unmatched in performance, style and elegance. Our chauffeurs are professionally certified and go through a vigorous screening and training process to give clients the very best VIP limo service Niagara has to offer! 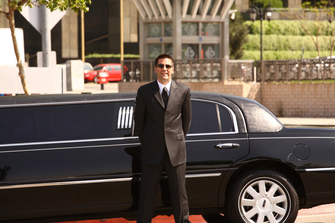 When making reservations be sure to select a limo rental St Catharines professionals select for comfort and style. Need a limo Niagara residents can always count on? Whether you are planning a limo or party bus for prom, bachelor party, wedding, corporate event, anniversary, night out or you just need a lift to the airport, our St Catharines limousine company has you covered. St Catharines Limousines is Southern Ontario's premium party bus and limousine provider for St. Catharines party bus, Niagara Falls limos, Hamilton limos and all surrounding areas. We equip your party with only the best luxury sedans, stretch limousines and Niagara party buses for any occasion you may be planning. We also provide point to point transfers such as Niagara airport limos and Hamilton airport limos as well. If you want the best limo in Niagara we will provide you with it. You will experience a superior level of comfort, quality and leisure when you ride with us. Let us get you to your destination on time and in style with our limo service St Catharines business owners and families desire. St Catharines Party Bus or Limousine Today!